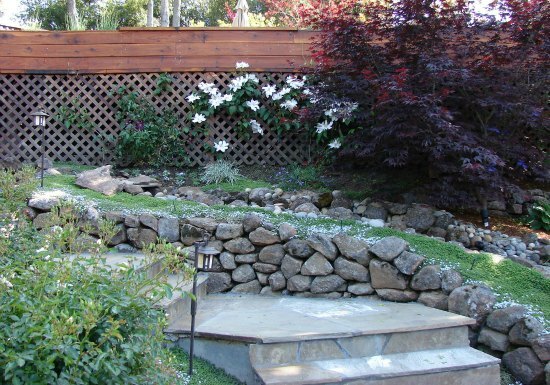 Garden walls create atmosphere, invite exploration, and give a sense of security. In fact, the term paradise comes from a Persian word meaning a walled place. 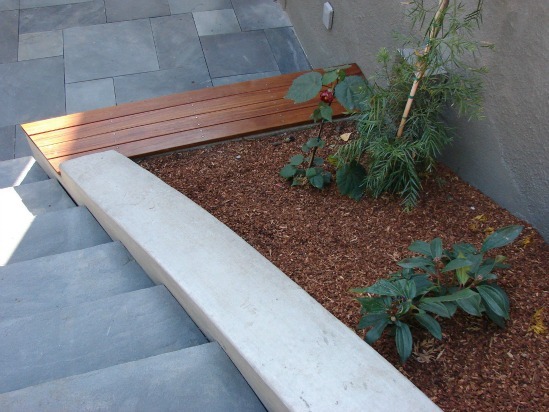 In landscape design, they may be constructed to enclose an entire yard or particular areas of a property. They may also provide privacy, afford shelter from wind and noise, and keep people and animals in or out. However, boundaries don't have to merely function as barriers; they can also be beautiful garden features. For example, stacked stones may be seeded with cascading plants. 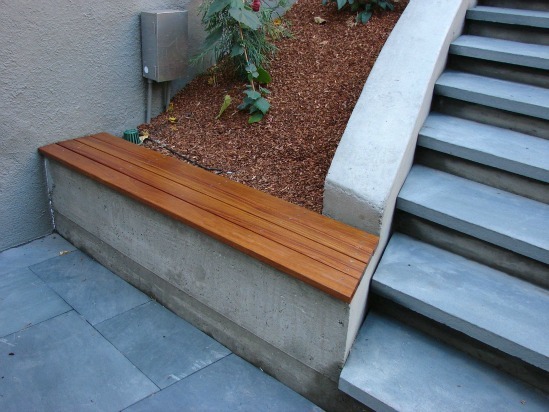 A seat wall can be built for outdoor socializing, while a taller structure may be erected to provide vertical planting opportunities. Walls can provide raised planter beds, or be support for growing vines. Or, a screened self-contained playroom can serve as a family sports field. From an aesthetic standpoint, a garden that can be viewed in a single glance is usually less inviting than one that is divided into separate spaces. Therefore, partitions may be employed to divide different areas or levels, which creates multiple outdoor rooms for a range of activities, like entertaining, working, and relaxing. A boundary can even extend the visual line of a house to incorporate a wider setting. 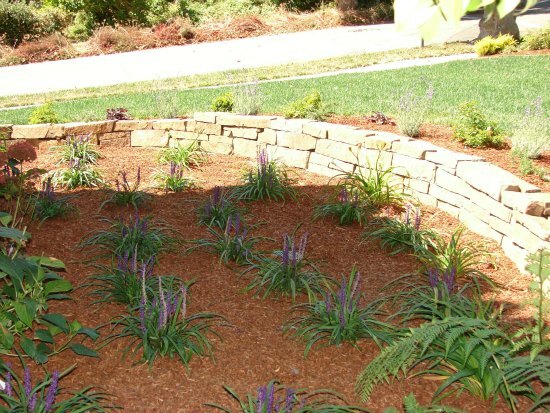 Different materials may be used for garden walls depending on budget, purpose, and style. 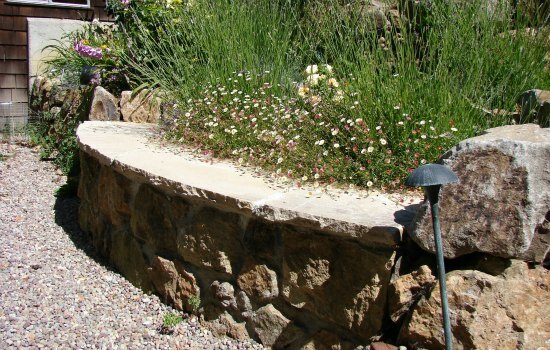 Dry Stone can give a garden design a sense of permanence and feel like a work from antiquity. Mortared Stone provides a classic look that adds a sense of solidity and permanence to a yard that few other materials can match. Mortared Blocks are durable dividers that can provide the greatest amount of privacy and security. Mortarless Blocks are a less costly means of producing a durable, stylish boundary within a yard. Gabion Walls are wire caged retaining walls that use their own inherent weight to resist lateral soil pressure, often with locally sourced materials. Hedges are living walls that can create dense visual screens that also diffuse wind and absorb noise. Since time immemorial, walls have provided security and privacy. In addition, they can create outdoor rooms. They also highlight and accent particular areas of a yard while creating mystery and adding flair. Walls are often vital ingredients in well-executed landscape designs that create connections with the environment while transforming outdoor spaces into havens of refuge. Let Sarah Ray Landscape Design transform your outdoor living space into a personal paradise.